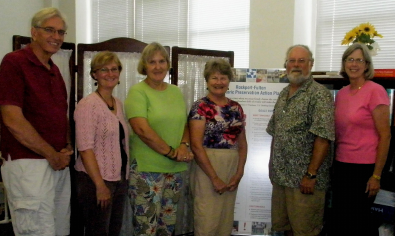 In 2009 Rockport Fulton was selected as a Visionaries in Preservation (VIP) community to work with the Texas Historical Commission (THC) to involve the community in planning preservation efforts through visioning and planning A master plan for historic preservation was written and task forces organized. That effort is an on-going process. Several task forces have been very active in accomplishing their goals. More detailed information can be found here. Not Shown: Eileen Bonner, Roberta Sherer and Richard Dias. Click here to see the February 2010 Update Brochure.